Notes: Another year, another lime-greenish disappoi — wait a second. 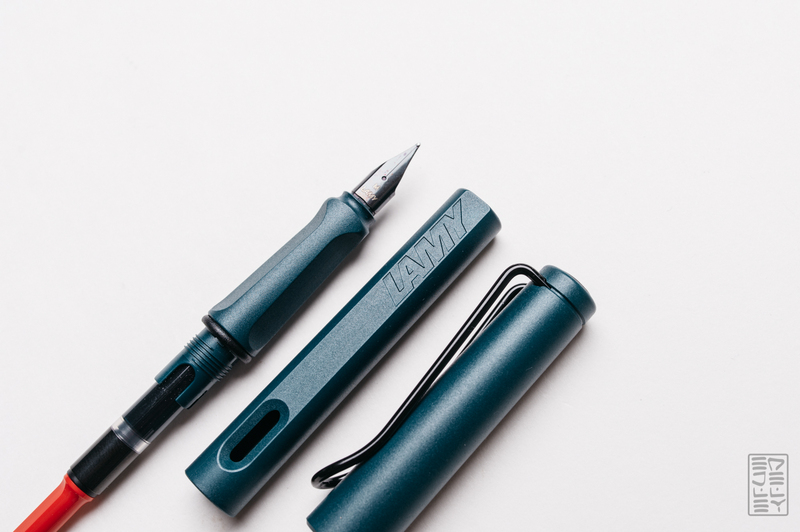 It’s a Lamy limited edition, and it’s NOT neon green! They’re calling this color “Petrol” and I absolutely love it. 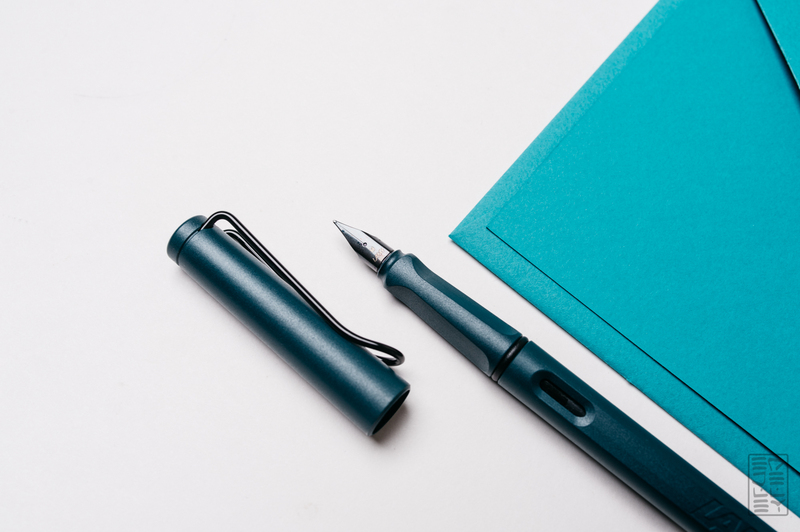 The Safari is sporting a matte, dark teal finish with black hardware and nib. It’s the same Safari I love, but in what I think is the coolest color yet. Want to pick one up for yourself? Check them out at JetPens. 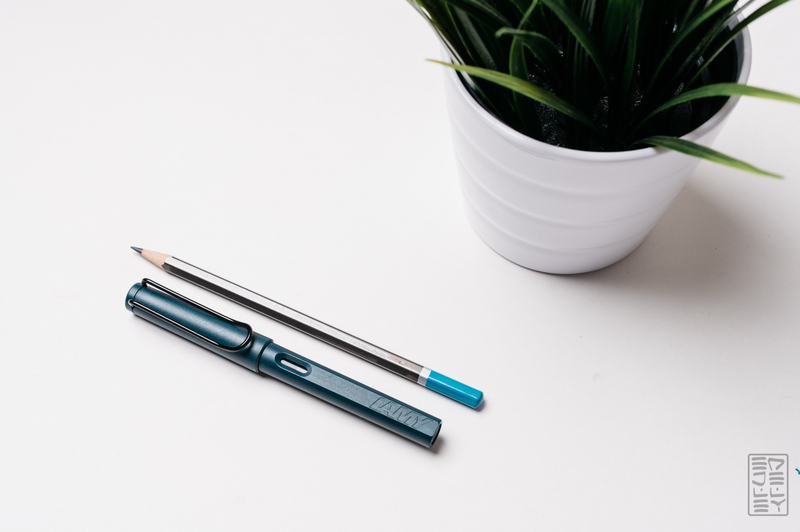 The medium nib in the Petrol is smooth with medium ink flow. I’ve found the Safari nibs to break in over time, the writing experience only gets better. I like to write on some rougher paper for a page or two to break the nib in. The triangular grip fits my writing style, but it’s not for everyone. If you have a non-traditional way of gripping your pen, then the edges could possibly get in the way. 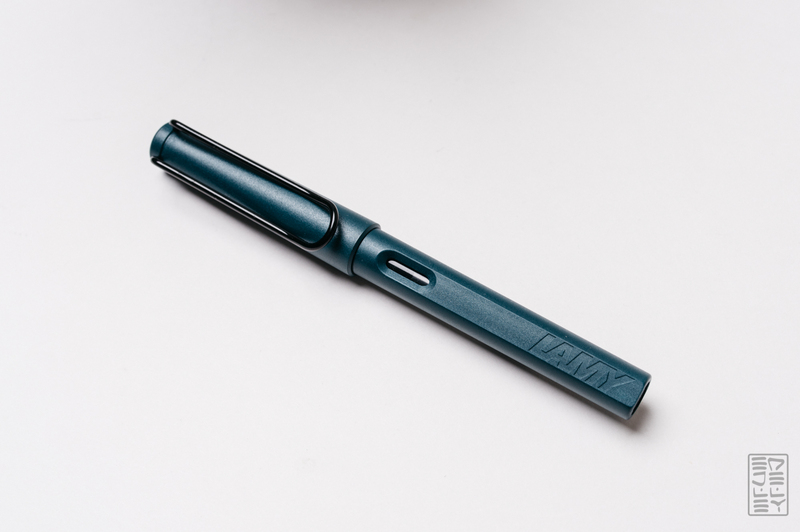 Lamy also put out a limited edition ink with the pen. I did not get the ink because it’s a.) hard to find right now and b.) I have so many teal inks, I don’t think I need another. 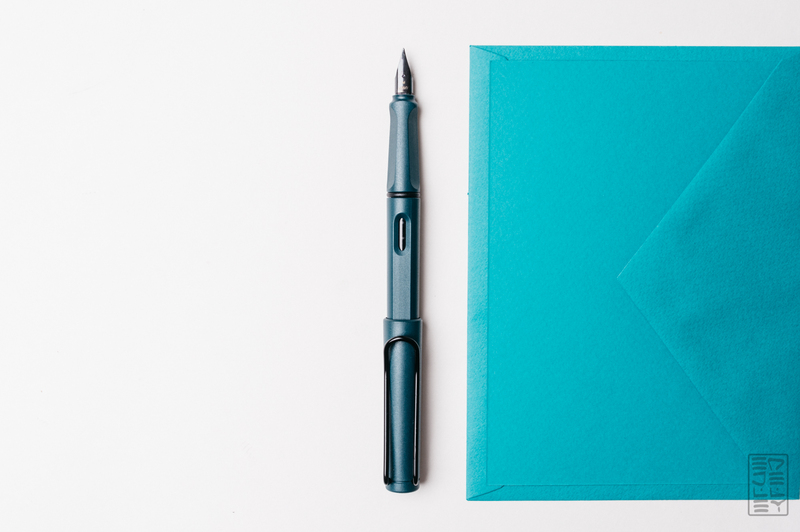 The ink in the writing sample is a custom ink from Tekker Inks that matches the pen nicely. The Safari Petrol is a winner for me. The mattified body, black hardware, and awesome color make it one of my favorite Safari limited editions to date. If you’re already a fan of the Safari, or a beginner looking for their first pen, don’t sleep on the Petrol. It should be pretty easy to find until the end of 2017, but the limited editions are limited to their release year so keep that in mind! 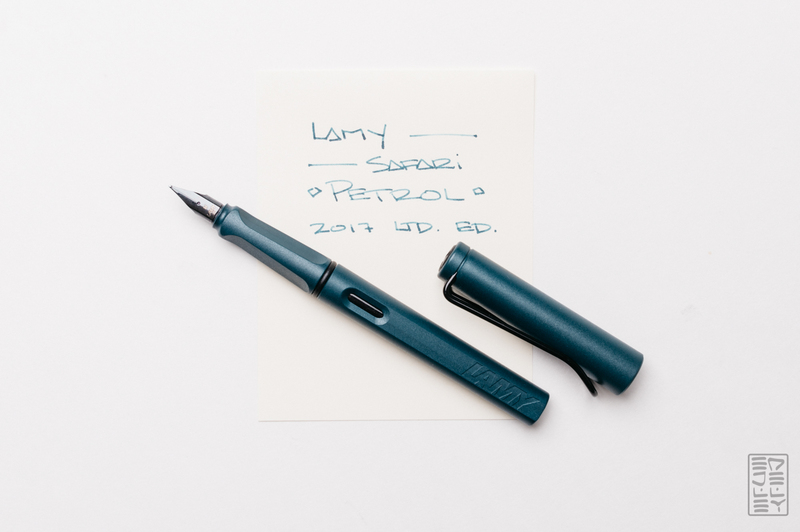 You can pick up the Lamy Safari Petrol from JetPens here. I’m guessing it’s named after the “Pétrole Hahn” hair lotion from France, which has a green color as well. No, they are both named after the sheen that can be seen on a puddle of gasoline (aka petrol) which is that blue-greenish hue. Sounds like I need to observe some more spilled gasoline! Thanks for the insight, it’s been driving me nuts. I liked the Dark Lilac LE, but I love this one – the colour is really nice in person too, I think, it seems to be a difficult one to capture in photos! Great article! I’m very new to fountain pens after using the same two ballpoint pens for more than 20 years. I bought this same pen a month ago and love it. Didn’t know it was a limited edition until right now! Good thing you snagged it before it’s gone! What brand of pencil is that up at the top?